Who hasn’t sat with friends talking about their favourite adverts, or indeed, laughed about the social media failure of the week? Here at Harvard towers we’re no different, so to fulfil our need to talk shop (it really is for us! ), we’ve created Oh Holy Shet!, a Tumblr page – inspired by Siobhan Sharpe from BBC series Twenty Twelve – dedicated to the good, the bad and the ugly of the comms world. We’d love it if you followed us on there, but we’ll also be doing a monthly round-up for you on here – choices choices! Last month, unsurprisingly, the focus for most brands was … drum roll please … football. But, as with every World Cup there were winners and losers, so here’s a look at the brands that are surging through to the final and the ones that didn’t make it past the group stage (ahem). Ah Paddy Power, a brand that, if we’re honest, we’re all a little bit jealous of. It’s quick to react, it’s creative and it’s out there. And, it’s been at it again. Yes. After England’s shocking (or not…) football defeat by Italy, this gutted nation was in mourning (drinking Pimms). However, this was not the case for one Brit, who not only bet that Italy would be victorious, but was boasting on Twitter about the large sum he’d won with Paddy Power. Paddy Power’s reaction? Lock him up and suspend him next to a Paddy Power billboard. Well done Paddy Power – we salute you. It wasn’t the only creative stunt we’ve seen from Paddy Power during the World Cup, tweeting a picture that looked suspiciously like it had cut down the Amazon rainforest – all in aid of giving the England team a bit of a morale boost (didn’t work). Unsurprisingly it faced a massive backlash on social networks, but it kept its cool before admitting that actually it was all a ruse! Paddy Power had instead partnered with Greenpeace to raise awareness of the destruction of the Amazon. It’s not just Paddy Power getting in on the act. Snickers, Nandos, Listerine and Specsavers all jumped at the chance to showcase their brand personality to make light of the Luis Suarez situation (if you’ve been hiding under a rock – he bit Giorgio Chiellini during the Uruguay and Italy football game a few weeks ago). But it was Philips who stood out from the crowd with new advertising in the papers this week giving us all a much needed chuckle on our morning commute. Playing to the British humour (read: sarcastic), the advert was short and simple – not like an England penalty shoot-out – but tickled us in all the right places. But football is a game of two halves (thanks again Bobby Robson for pointing that out). And boy, did some big brands score a home goal … or two. One of the biggest shockers came from car manufacturer Vauxhall. England’s official World Cup team partner should have received a yellow card after tweeting a picture of the England football team sheet, containing all the passport numbers of all the players. It has since been re-tweeted hundreds of times. Result? That’s a sending off. Result? 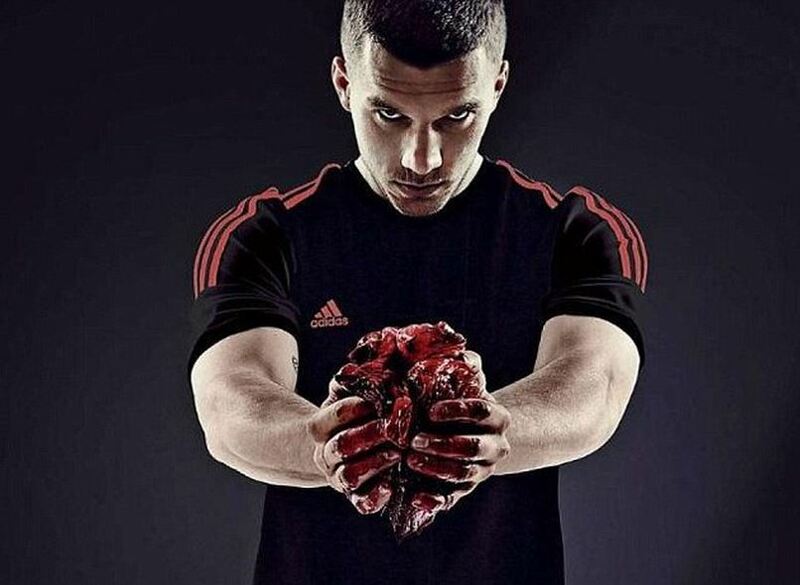 If Suarez has been banned for four months for a bite, we think a heart in hands means you’re on a plane home. Naughty Adidas. In the last few seconds of the game … yes, another home goal. As Brits, we all know that losing a football game is bad enough, but by being taunted by the national airline of the winners? Well, that’s just cruel. Royal Dutch Airlines has been criticised for tweeting a racist comment after the Netherlands defeated Mexico in the World Cup tournament. The tweet read “Adios Amigos!” alongside a picture of a man with a moustache and a sombrero and the backlash on Twitter was huge. What’s been your favourite campaign of the World Cup? Let us know by tweeting us @Harvard_PR, or commenting below.